UCA uses Blackboard as its course management system. 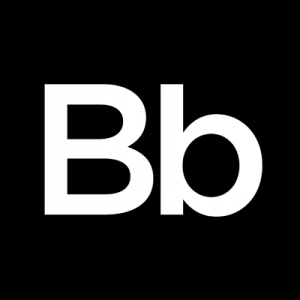 Blackboard Learn includes a Virtual Course Environment with a complete set of tools for course preparation, delivery, and management, resulting in an e-learning system that is easy to use, innovative, and reliable. Blackboard Collaborate Web Conferencing is an online collaboration platform that allows for virtual classroom or meeting spaces. This tool can be used inside or outside of Blackboard Learn. Respondus 4.0 is a tool that allows faculty to easily import exams that were created with a word processing software, and upload them into their Blackboard Learn courses. It will also import publisher test banks. Respondus LockDown Browser is a web browser that works with the Blackboard Learn Assessments Tool. The browser deters cheating in online exams by not allowing students to copy, paste, make screen shots or surf the web when taking an online exam/quiz in Blackboard Learn. Respondus LockDown Browser should only be used for taking exams in Blackboard and should not be used in other areas of Blackboard. SafeAssign is a tool used to prevent plagiarism and to create opportunities to help students identify how to properly attribute sources rather than paraphrase. SafeAssign is effective as both a deterrent and an educational tool. SafeAssign compares submitted assignments against a set of sources to identify areas of overlap between the submitted assignment and existing works. Tegrity web service is class-capture software. Tegrity provides lists of courses and class recordings that you can access from the Internet. You can replay all or part of class recordings and view additional content provided by your instructor or fellow students. UCA’s compressed interactive video labs can be scheduled for classes to remote locations and professional development.